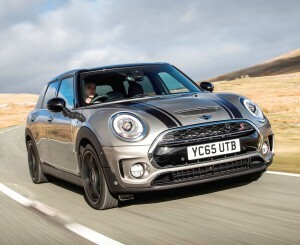 The MINI is now in its third generation under the ownership of the BMW Group. 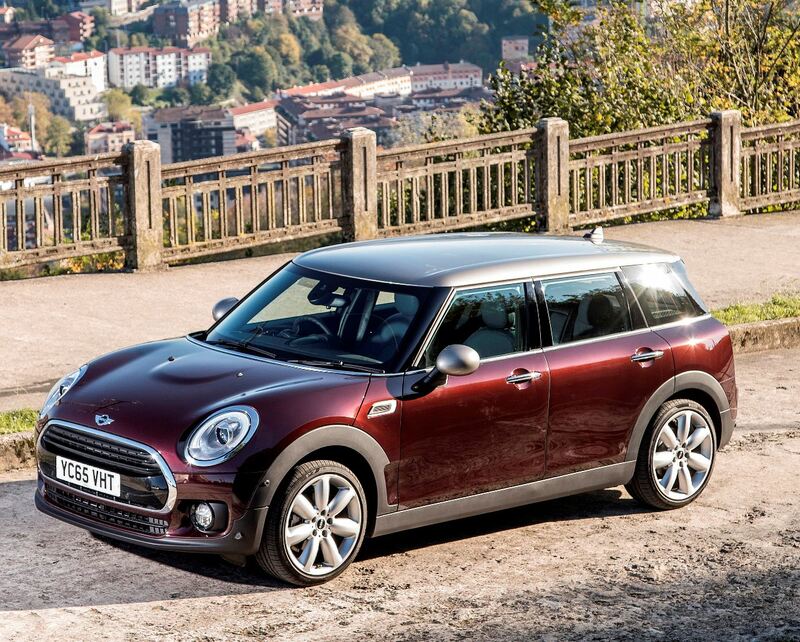 The three door Hatch arrived first in 2015 followed by the five door Hatch and now the new larger Clubman models. The Convertible Hatch will arrive in March this year, the Clubman ALL4 in April and the new Countryman and its ALL4 versions by the end of this year, completing the third generation line-up. John Cooper Works versions of the three door Hatch are also in the line-up and the JCW Convertible will join the range too. Deleted from the line-up for the new third generation models are the niche selling Roadster and Coupe versions. Back in 2007 the BMW Group owned MINI range was expanded with their Clubman estate, their interpretation of the former Austin and Morris Mini Countryman/Traveller estates. 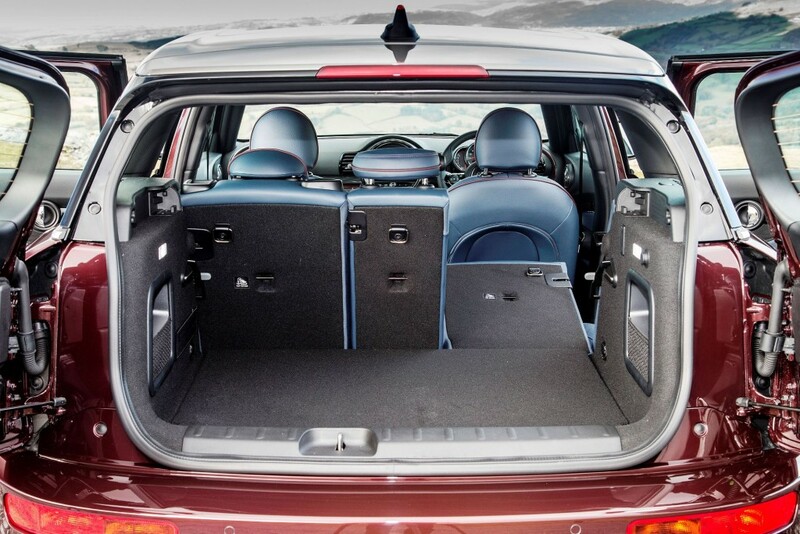 The main drawback of the BMW’s version of their first MINI Clubman, especially for UK customers, was the fact that it was cramped for rear passenger space, had little boot room and unbelievably it had only one half-sized rear passenger side door. That door was positioned on the offside of the car so we Brits had to get out of the rear seats and step into the road instead of the pavement. Quite a design oversight when you consider the Clubman was, and still is, built in the UK. Using the new and larger platform for third generation MINI models, the Clubman now has four conventional passenger doors but retains the design signature side-hinged barn-style twin boot doors. The new Clubman is substantially larger than its predecessor, with seating for five at a pinch, four adults in reality. The boot space has been increased to 360 litres (12.71 cu.ft) and this rises to 1,250 litres (44.14 cu.ft) with the rear seats folded. The overall length has gone up to 4,253 mm (13.95 ft), the width is 1,800 mm (5.91 ft) and the height is 1,441 mm (4.73 ft) so it can still fit into the shrinking in size public car park spaces and a domestic house garage. 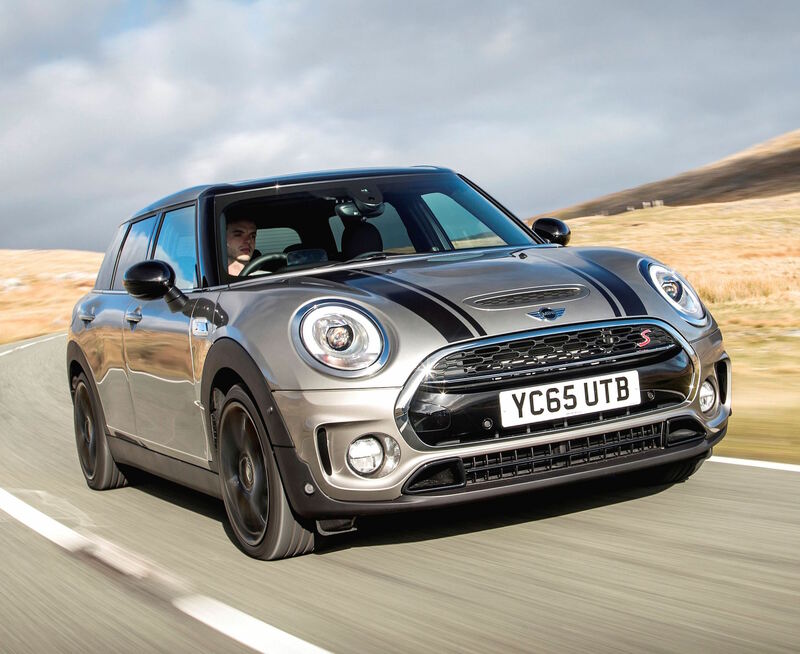 MINI says this increase in size allows the new Clubman to compete in the C-segment family car class against the likes of the Audi A3 Sportback and the VW Golf. Unlike its niche-selling predecessor, MINI is convinced the new Clubman will this time around be able to compete in the all-important fleet and company car sector. At launch the new Clubman has familiar derivatives of Cooper and Cooper S turbo petrol models and Cooper D and Cooper SD turbodiesel versions. Prices start from £19,995 and will rise to £27,410 for the soon to arrive Cooper SD ALL4. Of course there is the vast array of MINI options and other personalisation accessories to further push up the prices. There is the choice of six speed manual and auto transmissions plus a new eight-speed Steptronic auto option which is new to the brand. 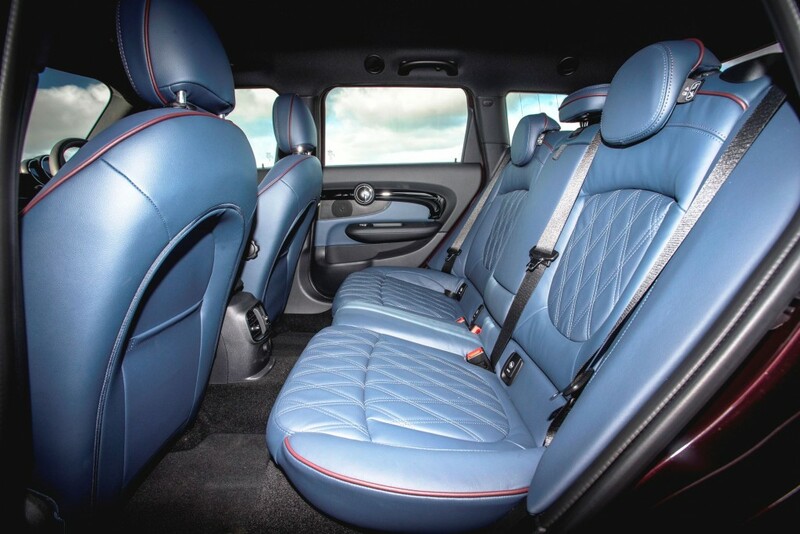 There is a high level of standard equipment right across the range including the MINI navigation system, air-con, cruise control, Bluetooth, keyless entry, electric front/rear electric windows, electrically operated door mirrors electric parking brake and electrically adjustable front seats. 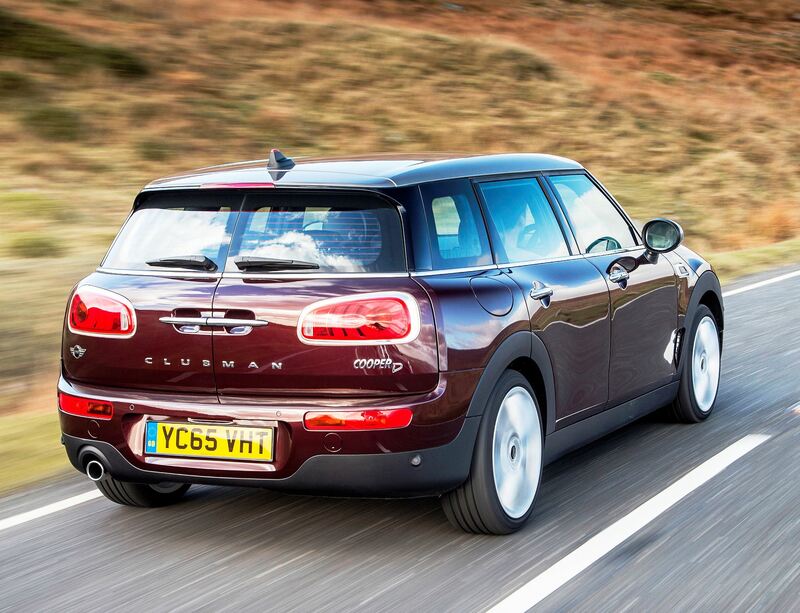 Every new Clubman model gets the intriguingly named MINI Excitement Package which features a projection of the brand logo on to the ground beneath the driver’s side door mirror when the car is opened and closed, as well as extended interior lighting. All four current engine options use BMW’s TwinPower technology which includes turbocharging and direct fuel injection. The Cooper has a three cylinder 1.5 litre petrol unit producing 136 hp and 220 Nm (162 lb.ft) of torque from 1,250 rpm. The Cooper S has a 2.0 litre petrol unit with 192 hp and 280 Nm (207 lb.ft) from 1,250 rpm. The Cooper D has a 2.0 litre turbodiesel unit with 150 hp and 330 Nm (243 lb.ft) from 1,750 rpm. The Cooper SD is also 2.0 litre with 190 hp and 400 Nm (295 lb.ft) from 1,750 rpm. The ALL4 Cooper S uses the 192 hp petrol unit with manual/auto gearbox options and the Cooper SD has the 190 hp turbodiesel with a manual transmission. The expected best selling versions will be the Cooper 1.5 petrol for retail customers and the Cooper D for fleet and business user-chooser drivers. My test version was the likely most popular, the Cooper Clubman 1.5 litre petrol with a manual gearbox and this costs the current range starter price of £19,995, although with a long listed of must-have goodies the on-the-road price was a massive £27,355. Some of the options included 17 inch alloys at £570, black bonnet stripes at £100, a much needed (because of the restricted rear visibility) reversing assist camera at £310, interior Piano Black styling at £320, heated front seats at £270, heated windscreen at £125, LED headlights at £735 and cloth/leather combination trim at £900. Aside from all the optional equipment the core design of the Clubman starts with its familiar MINI front end with the circular headlights framed in oval surrounds, the hexagonal grille, a slightly sculptured power dome bonnet leading to the low, wider, but now longer side silhouette. With its high waistline and relatively low height windows visibility is not that brilliant. 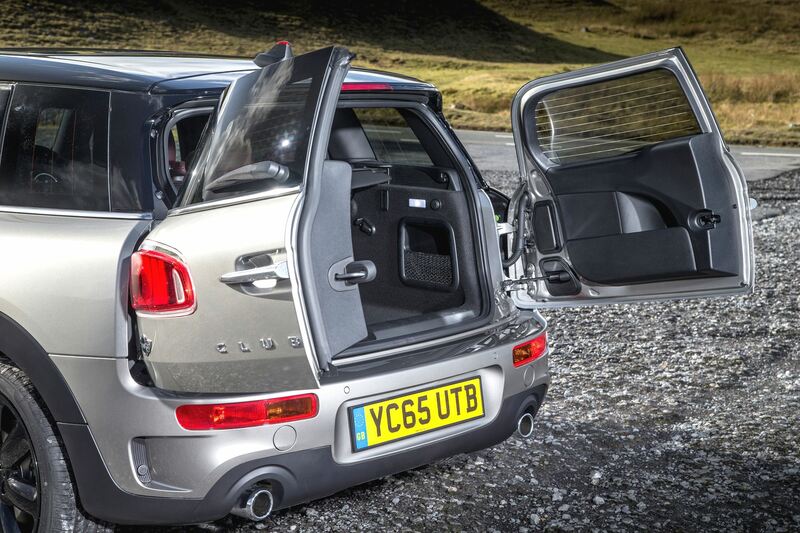 At the rear are the Clubman’s signature side hinged split rear doors. Inside it is pure premium quality MINI with the usual huge centrally position round dial which operates various functions from the sat-nav, radio to the on-board computer. These functions are used via a controller positioned between the front seats in the centre console. The speedometer and rev counter are positioned in the instrument cluster on the steering column as they are with the latest third generation three and five door Hatchbacks. New customers to the new Clubman will be attracted by the conventional rear side doors so now making it a proper family car, something the original Clubman models from BMC and BMW owned MINI were not. That function alone should rapidly improve the sales opportunities. Roll in all the other high quality fit and finish of modern MINIs and the design is a potential winner. 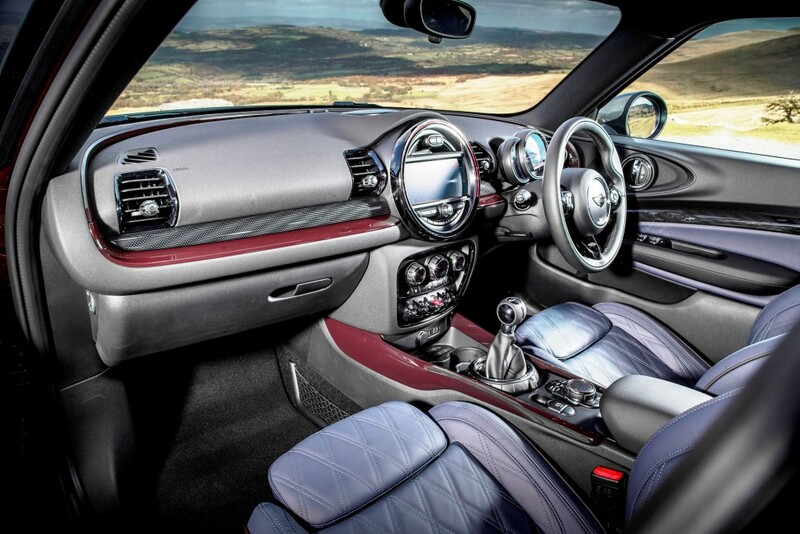 The new Clubman is a revolution in its design for a MINI and the interior is an evolution of its premium brand quality. Also a winner is the 1.5 litre, three-cylinder turbocharged petrol engine. This unit is really refined, none of the usual triple cylinder engine growl and to be honest if you didn’t know it had three cylinders you would think it was a four-pot. With 136 hp and 220 Nm (162 lb.ft) of torque from 1,250 rpm it is responsive despite the transmission’s high gearing. Significant amounts of gearchanges were necessary to drive it in a spritely manner and that wasn’t the best driving experience, because I found the manual gearshift to be heavy and not that slick. Driven in a relaxed manner, in commuter traffic for instance, with the ample torque from low engine revs the engine was surprisingly flexible. Top speed is 127mph and zero to 62mph takes 9.1 seconds. On the demerit side the real-life fuel economy during my week long test was 40.8mpg which looks good enough but it was well below the 55.4mpg Combined Cycle figure. My driving included around 300 miles of motorway and dual carriageway use and another 100 miles or so of local driving on B roads and travelling short distances. With CO2 emissions of 121 g/km, due to the optional 17 inch wheels rather than 118 g/km of the standard ones, the VED road tax is £0 for the First Year rate and £110 for Year Two onwards. The 118 g/km figure would mean VED tax at £0/£30 so my advice is to stick with the standard alloy wheels so saving £570 on the purchase price and less in road tax as well. Probably the ride will be slightly more compliant too. Company car drivers will pay 21% Benefit in Kind tax under the new rates which come into force in April or 20% with the smaller wheels. In all other respects the MINI Clubman is similar in handling characteristics as its smaller three and five door Hatch stablemates. It felt generally ‘glued’ to the road although with its extra bulk and weight it seemed less agile, more cruiser than cut-and-thrust bruiser! The new Clubman is a revolution in MINI design, and its interior represents an evolution of its premium brand quality; the refined 1.5 litre, three cylinder turbocharged petrol engine is a winner too. For: More space and better practicality than its predecessor, immaculate build quality, premium quality plush and comfortable interior, low-ish running costs and taxes, refined engine. Against: Select those extra cost options with care, larger wheels will cost more to buy and they push up the running costs, not a true C-segment hatchback size-wise, heavy gearchange, limited rear/rear quarter visibility, real-life fuel economy was well below the official Combined Cycle figure. MINI Cooper Clubman 1.5 petrol manual. Engine: 1.5 litre, 3 cylinder, turbocharged direct injection petrol. Torque: 220 Nm (162 lb.ft) of torque from 1,250rpm. Fuel consumption: 55.4 mpg Combined Cycle (40.8 mpg on test). Emissions and taxation: CO2 121 g/km, VED road tax £0/£110, BIK company car tax from April 21% (on standard wheels 118 g/km VED £0/30, BIK 20%). Dimensions/capacities: L 4,253 mm (13.95 ft), W 1,800 mm (5.91 ft), H 1,441mm (4.73 ft), boot/load space 360 to 1,250 litres (12.71 to 44.14 cu.ft), 5 seats, 4+2-load area doors. Price: £19,995 (£27,335 as tested).